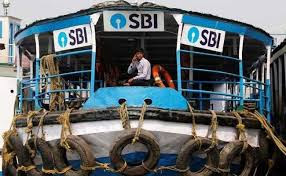 The State Bank of India (SBI) reported a bigger-than-expected quarterly loss on Friday, as country's biggest lender by assets made higher provisions for treasury losses although its improved bad loan ratio sent its shares higher. SBI's third consecutive quarterly net loss came in at Rs. 4,876 crore ($707.28 million) for the three months to June 30, compared with a profit of Rs. 2,006 crore a year ago, and a record loss of Rs. 7,718 crore in the March quarter. The latest loss was much larger than analysts' estimates of a loss of Rs. 171 crore, according to Thomson Reuters. SBI, which accounts for more than a fifth of India's banking assets, recognized net mark to market losses on investments of Rs. 5,893 crore in the June quarter, instead of availing a central bank option to spread the losses over four quarters. But its gross bad loans as a percentage of total loans slipped to 10.69 per cent from 10.91 per cent in the previous quarter. That was, however, still above 9.97 per cent posted a year ago. Its bad-loan provisions for the quarter rose 7.5 per cent to Rs. 13,038 crore, but fell more than 45 per cent from the March quarter. Indian banks have been plagued by record levels of non-performing loans over recent years, and held Rs. 10.36 lakh crore in soured assets at the end of March, with state-run banks including SBI accounting for more than 86 per cent of the pile. SBI shares closed at Rs. 304.45, 3.8 per cent or Rs. 12 down on the BSE and at Rs. 302.70, 4.6 per cent or Rs. 14.70 down on the NSE.